It's the end of an era in Detroit, and the resale ticket market knows it. The Red Wings will play their final games at Joe Louis Arena this week, putting an end to a 38-year run at the beloved venue. They'll play host to the Canadiens on Saturday before their final matchup of the season against the Devils on Sunday. Fans will be paying up to be on hand at those two games, as they are among the priciest NHL games this week. The Maple Leafs and Rangers also host top games through the weekend. It will be a bittersweet end for the Red Wings on Sunday, who look forward to moving into Little Caesars Arena at the start of the 2017-18 NHL season. They'll miss the playoffs for the first time in 25 seasons, so Sunday signifies the final NHL game at The Joe. It will serve as the most expensive NHL game this week, with Red Wings tickets for the final game at Joe Louis Arena averaging $541 and the cheapest fetching from $230 each. Playoff hopes are still alive in Toronto, and Saturday's game will carry a playoff-like intensity it with it when the Maple Leafs host the defending Stanley Cup champion Penguins. With the Leafs currently owning 93 points and the Senators and Bruins trailing by just one point, the Eastern Conference playoff picture will likely come down to the final day of play on Sunday. 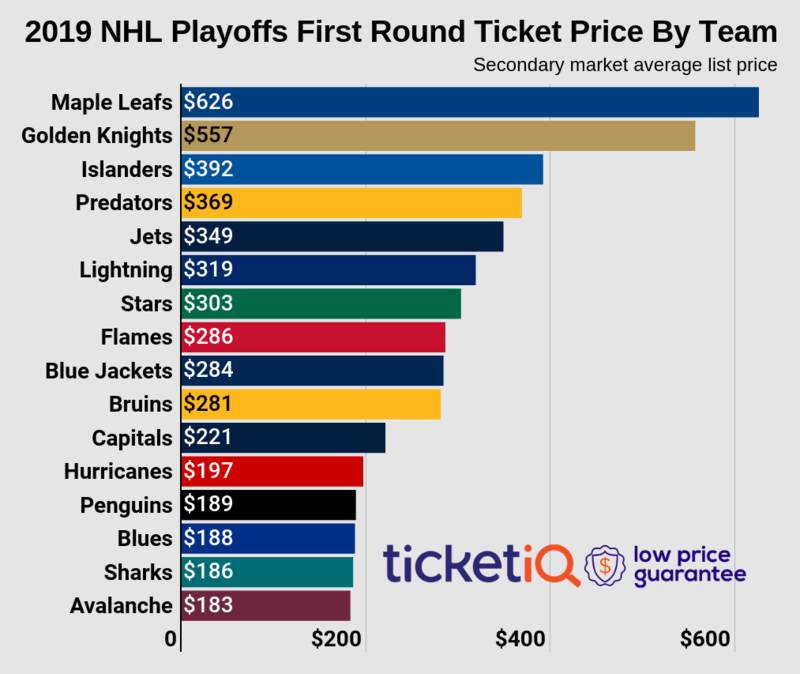 That makes the team's matchup with the Pens all the more important, and Maple Leafs tickets against the Penguins currently average $430 with a get-in price of $179. It will be a difficult weekend for the Leafs as they host the Blue Jackets in the final game of the regular season on Sunday. With the Jackets expected to finish just short of catching the Presidents Trophy-favorite Capitals, they'll look to end the regular season in style in Toronto. Maple Leafs vs. Blue Jackets tickets own a resale market average of $333 and the cheapest tickets start from $108 each. The penultimate game at Joe Louis Arena won't be much cheaper to attend on Saturday. With the Canadiens headed to town, Red Wings tickets are averaging a $298 ticket and $159 get-in price. The Habs will likely take on the Rangers in the first round of the Stanley Cup playoffs. A Quarterfinals rematch from a season ago will take place at Madison Square Garden on Sunday when the Rangers host the Penguins. With both teams looking forward to the playoffs again this year, it will be a pricey ticket in Midtown Manhattan this weekend. Rangers tickets against the Penguins currently average $294 and the cheapest are listed from $100 each.